The most iconic album cover of all-time, Sgt. Pepper’s Lonely Hearts Club Band was the Beatles best-selling album, and named the greatest album ever made by Rolling Stone magazine. The Beatles, as is well-known, were not the biggest of football fans. The inclusion and exclusion of certain individuals on Sgt. Pepper’s album cover have long been the topic of much debate. Adolf Hitler and Jesus Christ were originally intended to feature, at Lennon’s request, but both were ultimately rejected following his infamous ‘More popular than Jesus’ media furore a year earlier. Meanwhile Elvis was omitted due to being “too important and too far above the rest to even mention”. One man who did feature though, alongside Oscar Wilde, H.G. Wells and Marilyn Monroe, was Albert Stubbins. The former Liverpool marksman was the only footballer to have his face on the cover, and one of only two sportsmen, the other being former world heavyweight champion Sonny Liston. Whilst one can be accused of reading too much into these things, it has always been of interest to some why Stubbins was the only footballer to make the cut. The answer, ultimately, is a typically underwhelming one. Although Stubbins was scoring prolifically on Merseyside during the Beatles formative years, he was not chosen primarily for his ability or goal scoring feats, but rather because of his name. The Beatles, and Lennon in particular, enjoyed the phonetic qualities of Stubbins’ name. Paul McCartney was an Everton fan, a suspicion that was confirmed by his presence at the 1966 FA Cup final, although he later claimed to follow both Everton and Liverpool. There have been suggestions that McCartney put forward Dixie Dean as the footballer who should feature on the cover, more well-known than Stubbins, Dean was an England international and one of the most prolific scorers in the history of the English game, still holding the record for the most goals scored in a single season, with 60. Or perhaps more importantly, with Everton. His suggestion was overlooked though, and it was Stubbins who got the nod, unbeknownst to him. The centre-forward had no idea he was to be included on the album cover, and only found out when an LP arrived at his door of Sgt. Pepper’s, signed by all four Beatles with a message reading “Well done, Albert, for all those glorious years of football. Long may you bob and weave”. Despite holding the feat of being the only footballer on the cover, Stubbins is far from a household name, and only those from Merseyside or of a certain vintage are aware of his achievements and career in the game. Born in July 1919, Stubbins was another one of those unfortunate crop of talented players who lost much of their career to the war; aged 19 when conflict first began in 1938, and 26 when it finally came to an end in 1945. Born in Wallsend, North Tyneside, just a few miles outside of Newcastle City Centre, Stubbins spent a large chunk of his early life living in the United States. His parents moved to America in 1921, when Stubbins was only two years old, and didn’t return to Wallsend for a decade, only doing so once the Great Depression hit the U.S.
Stubbins’ first club was Sunderland, although he already had his eyes set on Newcastle. In a rather unusual situation, Stubbins had a clause written into his youth contract at Sunderland that should Newcastle offer him professional terms at any time, he would be free to leave for their local neighbours. Sure enough, in April 1937, that was exactly what happened, and Stubbins signed for his boyhood club, Newcastle United. He played only 27 games for Newcastle as a teenager, before war broke out, in which time he scored 5 goals. Throughout WWII though, whilst the Football League was suspended, Stubbins scored prolifically. In his early twenties he was the most prolific goal scorer in the country. A powerful centre-forward, Stubbins stood at only 5 feet and 11 inches, but weighed 12 stone and 10 pounds. Despite his stocky build, the young forward had an excellent turn of pace. In the era of providers and poachers, Stubbins was the closest thing to a complete centre-forward in the English game at that time. 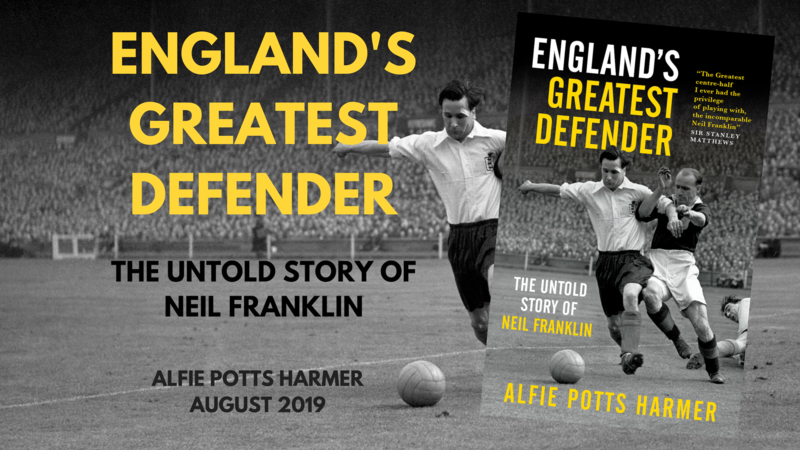 Powerful, quick, technically gifted and capable of scoring and assisting goals, it was no surprise – and if anything considered a little belated – when he made his first appearance for England in 1945. Stubbins started the game, a friendly match against Wales at the Hawthorns in West Bromwich. Wales recorded a shock win over England, their first in seven attempts spanning three years, and Stubbins never donned the famous white shirt of England again. As the game went down as a wartime international, Stubbins never in fact won an official cap for the England team, and he is oft regarded one of the finest uncapped players in the history of the game. In the 1945/46 transitional season before the full Football League resumed, Stubbins scored a mightily impressive 39 goals for Newcastle in the Northern League. Despite his best efforts though, the Newcastle team struggled for success, finishing in sixth position. In 1946, Stubbins moved from Newcastle to Liverpool for the gargantuan fee of £12,500. Only £2,000 short of the British record transfer fee at that time, it was comfortably the most Liverpool had ever splashed out on a player. When Newcastle announced his availability, no fewer than 18 clubs enquired, before Liverpool finalised the deal. Aged 27 by the time he moved to Merseyside and when the Football League finally recommenced, Stubbins was the most expensive post-war signing in Britain, until Billy Steele’s move to Derby County in September 1947. Newcastle moved Jackie Milburn from his position as an inside-forward to centre-forward following Stubbins departure, and he would go on to become a club legend, in a move which proved worthwhile for both Newcastle and Liverpool. Playing in red, Stubbins made a flying start to life by the Mersey. 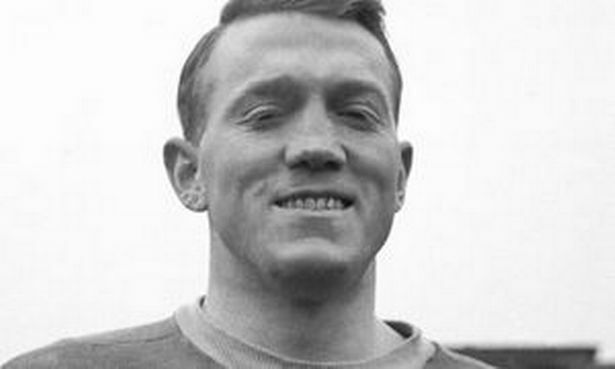 He formed a formidable partnership with inside-right Jack Balmer, and the pair netted 24 league goals each as Liverpool won the league following an agonisingly tight title race. Liverpool’s final total of 57 points gave them the slenderest of leads over Manchester United and Wolves on 56 points and Stoke City on 55 points. Wolves appeared to be running away with the title at one stage, but a dreadful winter and an extended season caused a drop in form by both Wolves and Stoke. The Midlanders still had a chance to win the league in their final game at home to Liverpool, but Stubbins scored Liverpool’s second in a 2-1 win, and when Stoke lost to Sheffield United it was confirmed that the title would be going to Merseyside in the first post-war Football League season and Stubbins’ first at the club. He continued in a similar vein of form the following season, hitting 26 in the league this time, although Liverpool had a miserable campaign, finishing 11th, closer to relegation than the title. That set the tone for the rest of Stubbins’ time at Anfield. Whilst he continued to impress, the club continued to underachieve and struggle. In his seven years on Merseyside, other than his title winning debut season, the highest Liverpool finished was eighth. Most disastrous of all was the potent forward’s last season at the club, aged 34, in which they finished 17th, only 2 points above the relegation zone. The team’s struggles never effected Stubbins though, who continued to make fine personal achievements, such as scoring a brace in a 2-1 win over eventual champions Arsenal in 1947/48. Stubbins had asked for a transfer in 1948, but his request was declined by Liverpool, unsurprising given just how crucial he was to the club at that time. He received his second chance of international football in 1950, although once more, not a full England cap, but rather representing the Football League, in a game against the Irish League. This time, Stubbins did not disappoint. He scored five goals in a 6-3 win, yet was somehow overlooked for the England team by Walter Winterbottom and the England selectors once more. Despite their league struggles, Stubbins did have one more notable success at Liverpool following their title win in 1947. Following contractual disputes, Stubbins had missed a hefty chunk of the 1948/49 season, but was a regular fixture once more the following season. In the league the Reds finished eighth, but they would have greater success in the prestigious FA Cup. Wins over Blackburn, Exeter, Stockport and Blackpool booked their place in the semi-final, a meaty tie against Everton. The Merseyside Derby which would decide which team made the final took place at Maine Road, in front of 72,000 hopeful spectators. Liverpool came out on top, goals from Paisley and Liddell giving them a path to the final. The 1950 FA Cup final was Liverpool’s first ever game at Wembley, but it wouldn’t prove a joyous debut at the home of football. Arsenal proved to have too much for Liverpool on the day, as Bob Paisley was controversially dropped despite having scored the winner against Everton in the semi-final. Over 100,000 people were in attendance for the game, as goals in either half from Reg Lewis gave Arsenal their third FA Cup win, whilst Liverpool had to wait until 1965 to finally get their hands on the trophy. Once he was into his 30’s, injuries began to take their toll on Stubbins. He struggled to string together regular starts, and the goals began to dry up as a result. He left Liverpool in 1953, before spending a season in non-league football with Ashington AFC, where he barely played, before officially retiring in 1954, aged 35. After hanging up his boots, Stubbins went into sports journalism, where he had much success, as well as briefly returning to the United States and coaching the New York Americans. His wartime stats were 188 goals in 231 games, whilst his official peacetime figures were 83 goals in 178 appearances. He won one league title, one FA Cup runners-up medal but – harshly – never an England cap, despite playing in unofficial friendlies and representing the Football League. When Liverpool compiled their list of ‘100 Players Who Shook the Kop’, Stubbins was named the 50th greatest in the clubs history, despite leaving the club 53 years before the list was made. He died in December 2002, aged 83, having suffered briefly from illness.